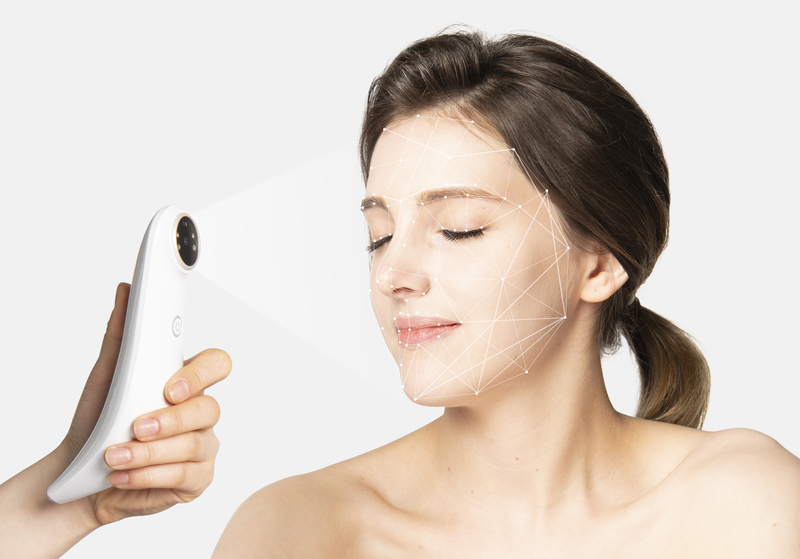 lululab, a spin-off company of C-Lab, Samsung Electronics' in-house venture program and a member company of Born2Global Centre, developed the AI skincare assistant LUMINI." data-reactid="24" style="margin: 0px 0px 1em; color: rgb(38, 40, 42); font-family: "Helvetica Neue", Helvetica, Arial, sans-serif; font-size: 15px; font-variant-ligatures: normal; orphans: 2; widows: 2; background-color: rgb(255, 255, 255); line-height: 1.5;">lululab, a spin-off company of C-Lab, Samsung Electronics' in-house venture program and a member company of Born2Global Centre, developed the AI skincare assistant LUMINI. 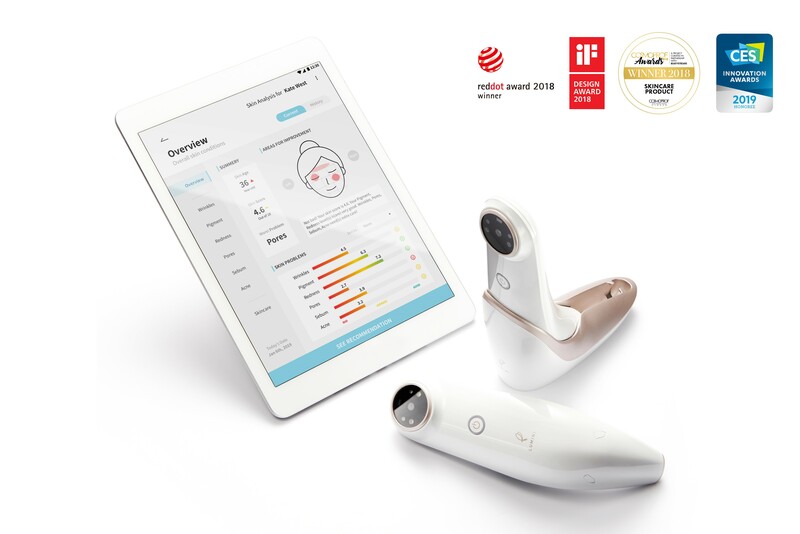 lululab, a spin-off company of C-Lab, Samsung Electronics' in-house venture program and a member company of Born2Global Centre, developed the AI skincare assistant LUMINI." data-reactid="24" style="margin: 0px 0px 1em; color: rgb(38, 40, 42); font-family: "Helvetica Neue", Helvetica, Arial, sans-serif; font-size: 15px; font-variant-ligatures: normal; orphans: 2; widows: 2; background-color: rgb(255, 255, 255); line-height: 1.5;">LUMINI, which will be shown at IECSC New York, scans and analyzes a person's facial skin in under 10 seconds and uses the results of its analysis to recommend the beauty products best suited for the condition of the user's skin. lululab, a spin-off company of C-Lab, Samsung Electronics' in-house venture program and a member company of Born2Global Centre, developed the AI skincare assistant LUMINI." data-reactid="24" style="margin: 0px 0px 1em; color: rgb(38, 40, 42); font-family: "Helvetica Neue", Helvetica, Arial, sans-serif; font-size: 15px; font-variant-ligatures: normal; orphans: 2; widows: 2; background-color: rgb(255, 255, 255); line-height: 1.5;">IECSC New York attendees and media can demo its customized spa and salon solution LUMINI, 3-step advanced skin care process: AI skin analysis and recommendation of appropriate treatments, curating skin care products for at-home aftercare, and share the skin data history and the next treatment schedule by mobile app. &nbsp;collaboration with famous K-beauty brands, it will recommend K-beauty products that best meet the specific needs of users based on its analyzed skin data. With this solution and service, lululab will establish a foothold for expanding its solution in the global market." data-reactid="27" style="margin: 0px 0px 1em; color: rgb(38, 40, 42); font-family: "Helvetica Neue", Helvetica, Arial, sans-serif; font-size: 15px; font-variant-ligatures: normal; orphans: 2; widows: 2; background-color: rgb(255, 255, 255); line-height: 1.5;">lululab will also introduce its AI-based K-beauty curation service. Through collaborationwith famous K-beauty brands, it will recommend K-beauty products that best meet the specific needs of users based on its analyzed skin data. With this solution and service, lululab will establish a foothold for expanding its solution in the global market. LUMINI&nbsp;can now help people to get the personalized services based on objective data," said Yongjoon Choe, CEO of lululab. "By collecting big data on skin types related to ethnic origin and environment, we aim to transform LUMINI into an AI solution that recommends not only skin care products but customized lifestyles and foods&nbsp;for all kinds of users."" data-reactid="28" style="margin: 0px 0px 1em; color: rgb(38, 40, 42); font-family: "Helvetica Neue", Helvetica, Arial, sans-serif; font-size: 15px; font-variant-ligatures: normal; orphans: 2; widows: 2; background-color: rgb(255, 255, 255); line-height: 1.5;">"If you had to rely on the personal capabilities and experience of skin care professionals in the past, LUMINI can now help people to get the personalized services based on objective data," said Yongjoon Choe, CEO of lululab. "By collecting big data on skin types related to ethnic origin and environment, we aim to transform LUMINI into an AI solution that recommends not only skin care products but customized lifestyles and foods for all kinds of users." Yongjoon Choe will present about&nbsp;"How AI and Big Data Technologies Are Innovating the Beauty Industry" and the vision of lululab at the&nbsp;DIGITALDIGITAL INNOVATION TO CREATE THE FUTURE OF BEAUTY conference in COSMOPROF Bologna 2019." data-reactid="29" style="margin: 0px 0px 1em; color: rgb(38, 40, 42); font-family: "Helvetica Neue", Helvetica, Arial, sans-serif; font-size: 15px; font-variant-ligatures: normal; orphans: 2; widows: 2; background-color: rgb(255, 255, 255); line-height: 1.5;">In addition, CEO Yongjoon Choe will present about "How AI and Big Data Technologies Are Innovating the Beauty Industry" and the vision of lululab at the DIGITALDIGITAL INNOVATION TO CREATE THE FUTURE OF BEAUTY conference in COSMOPROF Bologna 2019. http://www.lulu-lab.com/en/." data-reactid="30" style="margin: 0px 0px 1em; color: rgb(38, 40, 42); font-family: "Helvetica Neue", Helvetica, Arial, sans-serif; font-size: 15px; font-variant-ligatures: normal; orphans: 2; widows: 2; background-color: rgb(255, 255, 255); line-height: 1.5;">For more information, please visit http://www.lulu-lab.com/en/.